LAST WEEKEND, I told how Center City couple Diana and Jason Airoldi finally got their Comcast cable and internet hookup after six full weeks of broken appointments by the cable giant. Why? Because I took pity on the couple and called to the ultimate authority at Comcast Corp. - Suzanne Roberts, the 92-year-old mother of the company's CEO. In less than a day, Comcast trucks were at the Airoldi home, and the problem was solved. So what do I do now about Sandy and Charles Arnold, who have been trying since Dec. 14 to get Comcast cable and Internet at their Ocean City home? Or Bridie Gallagher, a senior citizen who has been trying for months to get the overcharge on her bill fixed? And Christine Yelovich, whose odyssey into the Comcast's multiple circles of service hell should only be told with a horror-movie soundtrack playing behind it? These people all asked me to help them too after they read my column. 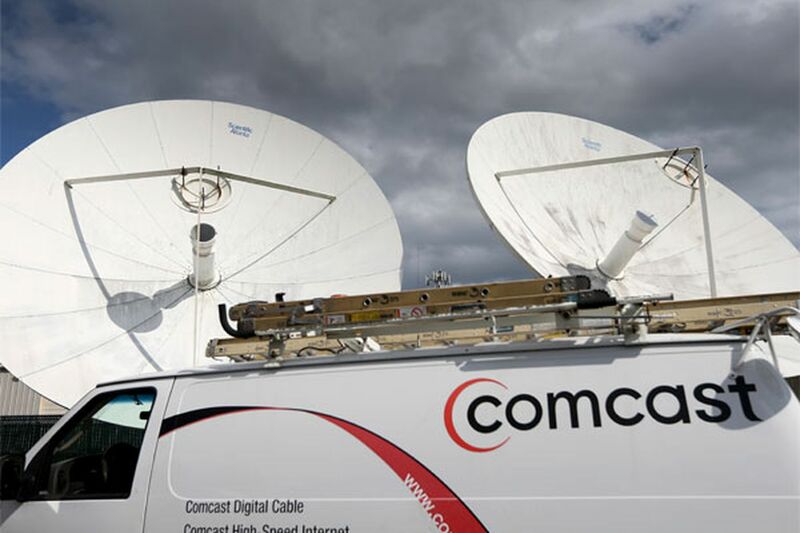 They seem emblematic of those surveyed in a Harris Poll released Wednesday that says Americans rate Comcast as the nation's eighth most-disliked company. You know who ranked 11th? Yeah, you heard right. People hate Comcast even more than the petroleum giant that dumped 205 million gallons of oil into the Gulf of Mexico during the 2010 Deepwater disaster. Chris Malone is a locally based marketing consultant who says that his only surprise about Comcast's ranking is that it wasn't worse. "The stories that come out about them are just unbelievable in terms of the torture - not just bad service, but torture - they inflict on customers," said Malone, managing partner of Fidelum Partners in Newtown Square, where he advises companies on how to improve their reputations by building better relationships with customers. "I feel quite confident that if their services were offered more broadly, their ranking would be much lower," he said. At the root of Comcast's problem, Malone says, is that the company is focused on maximizing financial benefits at the expense of its customers and employees, who know that "the company does not have their best interests in mind." Before we lived in a global economy, we all knew the merchants who served us, Malone explains. If they treated us badly, we confronted them face to face or spread the word about how they'd wronged us. By Sunday church, everyone knew that Bob the Butcher had sold Mary from Next Door a rank piece of meat. So Bob either cleaned up his act or lost his business to the butcher in the next town over. With global businesses - especially loosely regulated ones like Comcast, which can hold a monopoly on regions (or large apartment buildings) wired only for Comcast - it's harder for customers to get complaints addressed because there's no real consequence to the company. Thanks to social media, though, tales of Comcast's godawful customer service are going viral faster than Comcast can contain them. Each time, the power gets rebalanced, but only by a hair. How many more stories like this does Comcast need to hear before the company does something drastic and lasting to change the culture that's giving them a black eye? It's the kind of black eye that may keep Congress from approving the company's requested merger with Time Warner (an effort for which Comcast has enlisted the help of about three dozen D.C. lobbying firms, according to Politico). If Comcast is badly serving so many customers now, why should it be allowed the opportunity to badly serve millions more? After my column ran, I got a call from Jeff Alexander, the regional spokesman for Comcast's local operations. He apologized for what had happened to the Airoldis and invited me to visit some of Comcast's shiny new retail stores, where customers can pay bills, return cable boxes and such. "Sure," I said, to be agreeable. Comcast customers never contact the press to whine about dreary customer-service centers. They call when they've waited in vain for technicians who never show, when they're socked with overcharges for things they never ordered, when customer-service people promise to help but go AWOL instead of going the distance. I shared this with Alexander, and he asked me to forward him all the email complaints I'd received and that he'd get them resolved, pronto. So here's my promise, people. Email me (polaner@phillynews.com) about your Comcast problems. Detail the ways the company has been torturing you, and I will pass your stories along to Alexander, who seems like a very nice man. I can't guarantee results. Lord knows your complaints have been cheerfully heard then ignored before. But I can promise that if Alexander doesn't resolve your problems, I'm calling Mama Roberts again. I have her number on speed-dial.